You are so generous! Thank you so much! Hi -- Happy Easter! Ditto on what Juliana said about you being so generous! This paper is really cute - thank you! on Sunday April 4th 2010! Thank you! Have a wonderful Easter! Thanks so much for sharing with us. Hope you had a wonderful Easter weekend! The paper and doodle templates are awesome. Thank you! Thanks so much - this is just - FUN! Thank you so much for this post. 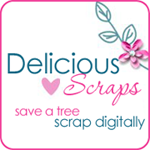 I want to let you know that I posted a link to your blog in CBH Digital Scrapbooking Freebies, under the Page 1 post on Apr. 05, 2010. Thanks again. Very cool paper - thank you!